"Prompt And Efficient. Good Advice." "He Did A Professional Job, He Is Highly Recommended, Will Use Again"
"Everything, Very Knowledgeable, Explained All The Work. Recommended"
"Quick Service. Problem Fixed Straight Away. 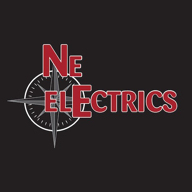 Good Advice Given"
"Knew What He Was Doing, Good Communication Throughout The Job"
Need a Electrician in Durham?